I will always remember Independence Day 2018 as a sad day. It was that day that I learned my friend Conan Elliott had lost his battle with cancer. Conan and I weren’t best friends. I’m not sure I can even say we were close friends. But, Conan was the kind of guy who if you knew him, you really were close friends. That’s just who he was. That’s how he treated almost everyone he came in contact with. I’m a soon-to-be 55-year-old man. I’ve suffered loss in my life, including the passing of a daughter and both of my parents. Those were devastating losses, just as I know Conan’s passing has been devastating for his wife Mary Lynn, their four children and seven grandchildren. I’m told Conan passed away at about 10:30 p.m. Tuesday night. I was awakened with the news on July 4th. The news stopped me in my tracks and, thankfully, I spent much of the day hearing from mutual friends who wanted to share their thoughts and memories about Conan. “He was just such a nice guy,’’ friends would tell me over and over throughout the day. He was indeed just that. I first met Conan more than 30 years ago when I began working on the stat crew at Portland Trail Blazers games. Conan was working with the television crew. I’m not sure his exact title and duties, but it was a very physical job, requiring setup and takedown, carrying and placing a lot of equipment and cables. Despite that, I only remember him working at an incredible pace, always with a smile on his face and a warm greeting for anyone who crossed his path. I was blessed to have shared many a meal in the Blazers’ media dining room with him before games. My friendship with Conan just kept growing over the years, our lives continued to overlap. In the 90s, Conan and I worked at the same radio station. He was co-hosting a golf show on Saturday mornings with another friend of mine, Tom Hewitt. At least twice a summer, Tom’s schedule would take him out of town and I would have the pleasure of filling in for him on the golf show with Conan. It was always the easiest two hours of radio I ever hosted. Sure, we had commitments to delivering the news, satisfy sponsors, have guests join the show, but my favorite segments were when I could clear the decks and just feature Conan. I knew just enough about golf to ask an intelligent question, and Conan would do the rest. He was a fantastic storyteller. As my son matriculated through his high school years, I remember Conan popping up unannounced at his basketball games. He would sit with myself and some of the other dads that he knew, and I just remember how nice it was to experience those joyful times with him present. 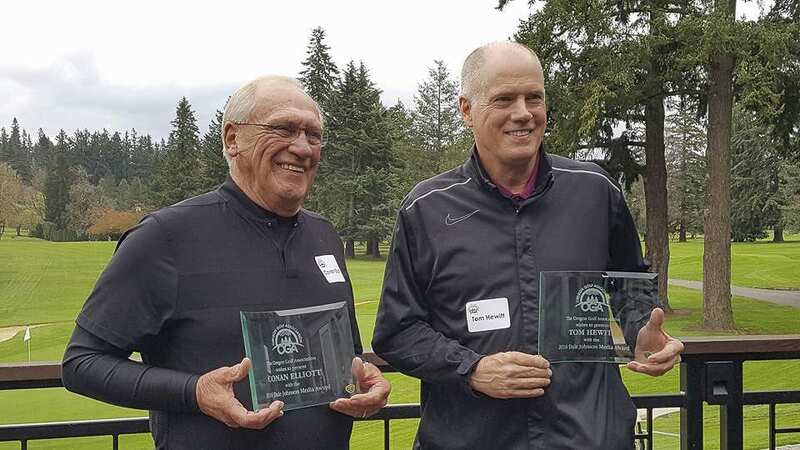 Conan is known to legions in Clark County as a golf teaching pro at Camas Meadows Golf Club, where he worked since 2004 and was known as the “teacher of champions.’’ Conan loved working with youth in the area. It was the highlight of his more than 30 years in the industry. His bio indicated that he taught over 70 youngsters to major college scholarships, had 12 Oregon State Junior champions and two Washington State Junior champions. He also mentored seven Oregon State High School champions, six Oregon State Team champions and five college All-Americans. I will assert that Conan had as much of an impact on youth golf in Clark County in recent decades as anyone. As much as Conan wore his love for mentoring young golfers on his sleeve, he also let everyone know of his love for his alma mater, Ohio State University. Conan played golf for the Buckeyes, where his path crossed with the greatest golfer of all time, fellow Buckeye Jack Nicklaus. Conan also had a brief stint playing on the professional tour and I’m told he once played in the prestigious U.S. Open, one of the four majors for golf professionals. But, even though he was quick to tell stories of his days at Ohio State and his experiences in the game of golf, Conan was never about Conan. He was selfless. He was always interested in you, not himself. I had the great fortune to play many rounds of golf with Conan over the years. I was lucky enough to share a golf cart with him on most of those occasions, which provides for a great deal of time to converse. He was a wonderful golf partner. I cherish those memories. Over the past 30-plus years, I never fell too far out of touch with Conan. We walked the same paths and bounced around in the same circle of friends. A couple of weeks ago, I was invited to a going-away dinner for Conan’s radio partner Tom Hewitt. I made sure Conan got an invitation and he attended. I’m thankful he got to see so many good friends that night, just days before he passed. I reached out to Conan just a couple of weeks ago to thank him for being so kind to my son, who is now in a program to become a PGA Golf teaching pro. My son recently took a job at Camas Meadows and when Conan found out Joseph was going to work there, I’m told that he made sure everyone at the course knew of my son’s history and exploits. I had to tell Conan how much I appreciated the way he had received my son at his long-time place of work. It meant a lot to me. ClarkCountyToday.com reporter Paul Valencia and I both worked parts of two decades at The Columbian Newspaper. A memory that makes both of us chuckle to this day is that of a plaque that is affixed to the wall of the men’s restroom adjacent to The Columbian newsroom. Neither Paul or I can recite verbatim the quotation on the plaque but in preparation for this column, I shared attempts at paraphrasing with Paul and we both have the general theme nailed down. The quote extols the virtues of a journalist. Something about how smart and full of integrity a journalist is. Women want to be with him. Men want to share their secrets with him, etc. And then when he dies, many people remember him for several days. You see, us journalists often have a problem with humility. That quotation helped many of us stay grounded. Conan didn’t need such a reminder. He already was grounded and humble. And, if I have anything to do with it, more than just many people will remember for a lot longer than several days.